In a prior post, I discussed how I’m using Learning Notebooks to encourage students to carefully think through the mathematical steps and notation for solving problems. I promised that I would explain how students complete this assignment in an online course, so today I’ve made a video, Collecting Learning Notebooks in an Online Course to show you the process I’m using inside of Instructure Canvas. The process should be similar for other Learning Management Systems (though it may not be quite this easy). Here’s the process. Students still complete their Learning Notebook exactly how they do in a traditional class. I encourage them to keep a Table of Contents so that they can quickly find their assignments and make sure they are complete. Again, this was discussed in a prior post. The turning in part is a bit different for an online course. 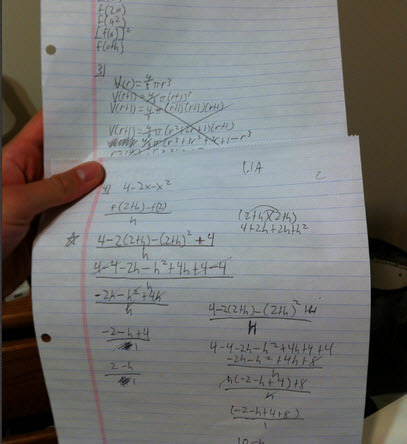 In the actual assignment, I tell the Quiz to pull ten problems at random from the Question Bank. This is a timed assignment, and I figure that 45 minutes should be plenty of time to take 10 photos or scans and upload them, even on cruddy Internet like mine. How do students take their photos? How do they get the image to the quiz? They have to get the image to their computer screen and then use Jing to create a URL for the page they want to share. 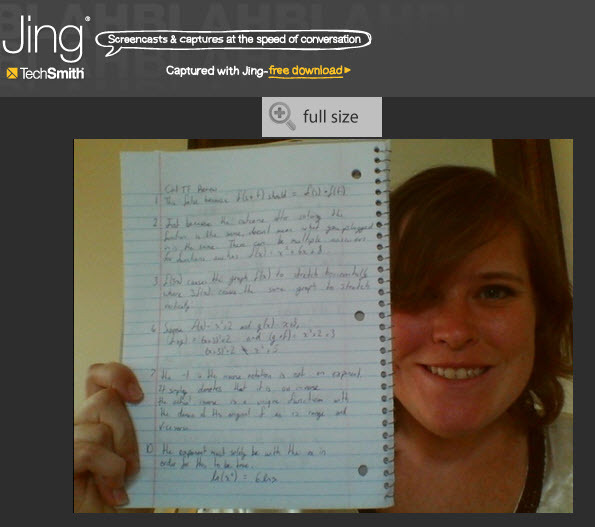 Handwritten student work shared with a camera. 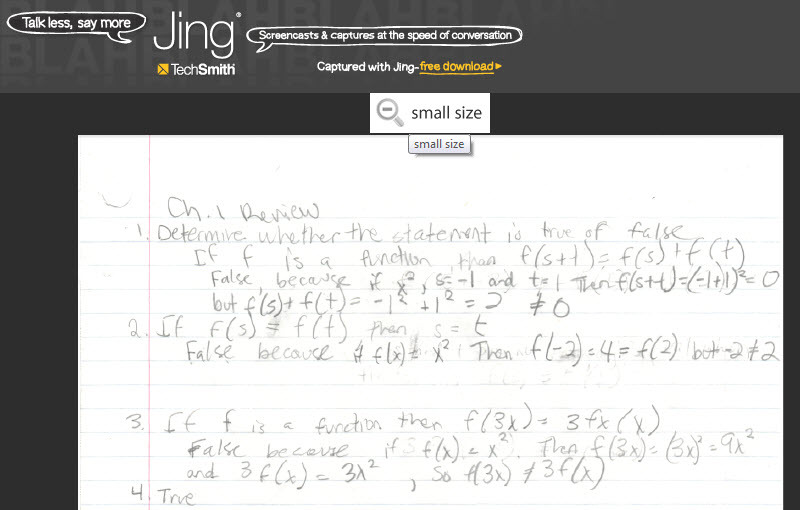 Handwritten student work scanned and shared with Jing. Then I grade the quizzes. Done!